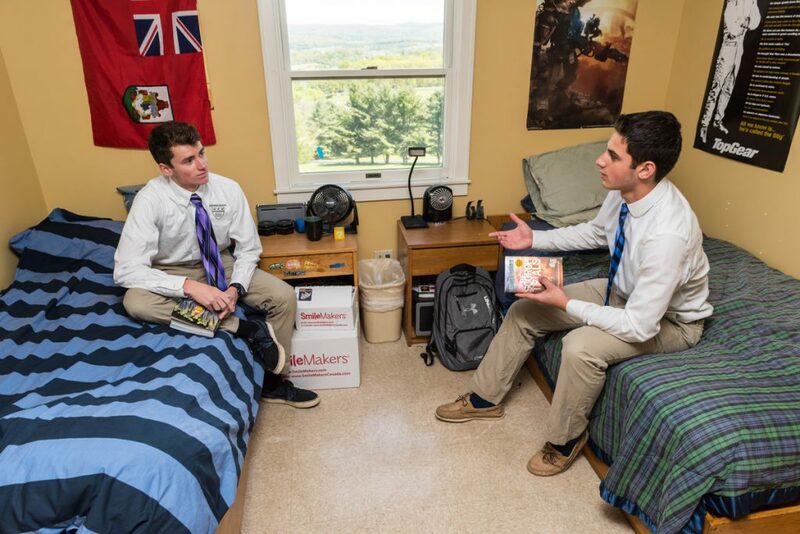 Boarding campers reside on the upper portion of our campus in King House or Goldman Hall. 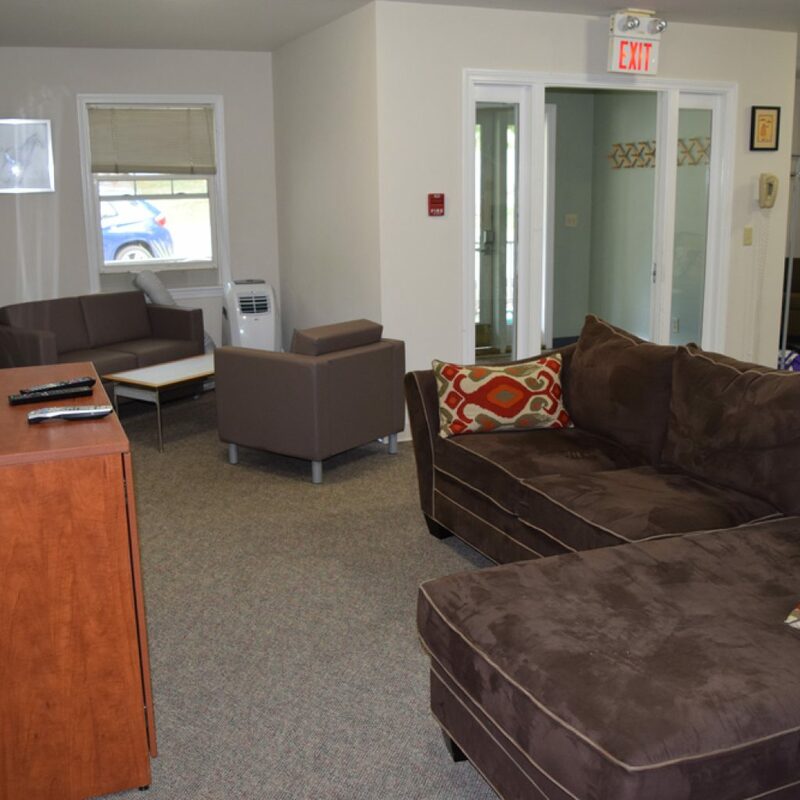 Students eat their meals in the dining hall situated near the residence halls and can enjoy social time together in the lounge in Goldman Hall. One of the best parts of our campus is the amazing view of the valley that can be seen from the dormitories and upper part of campus. Female campers make the King House their home. 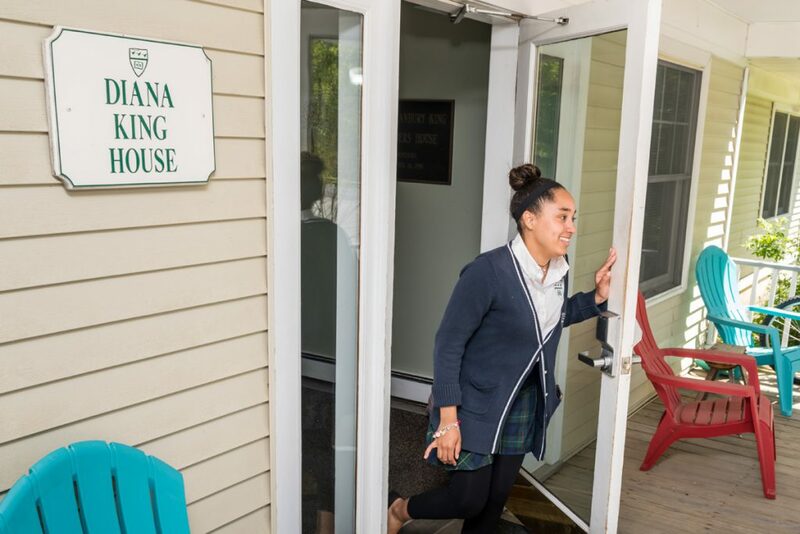 Named in honor of Kildonan’s founder, Diana Hanbury King, King house is a suite-style residence with lounge areas for relaxing, socializing, playing music, and studying. Girls are grouped by age and share their room with a roommate, and their bathroom with suitemates of similar ages. 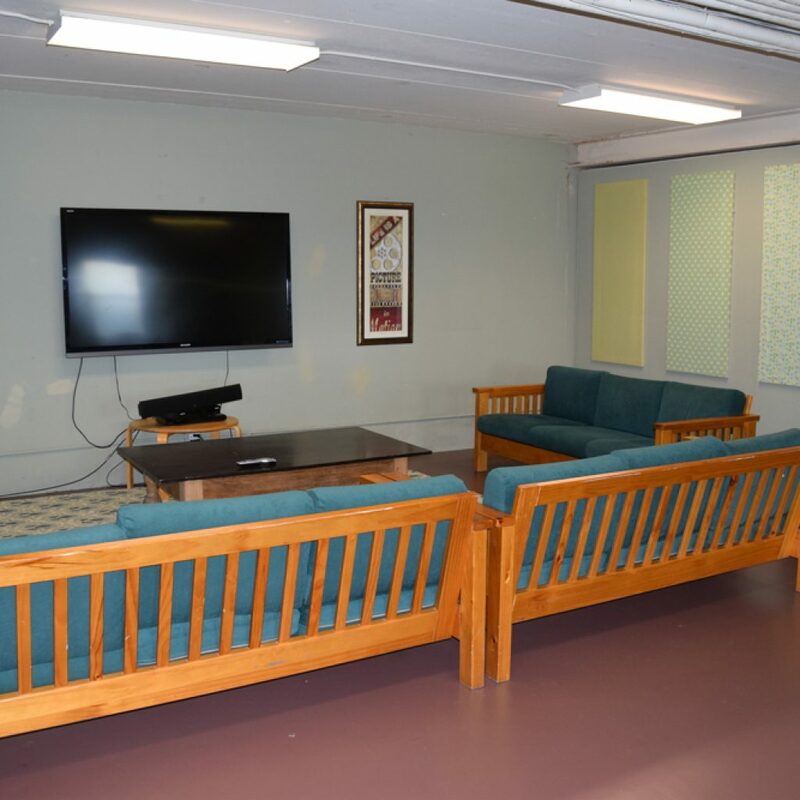 Male campers reside in Goldman Hall, named in honor of former student Stephen D. Goldman. 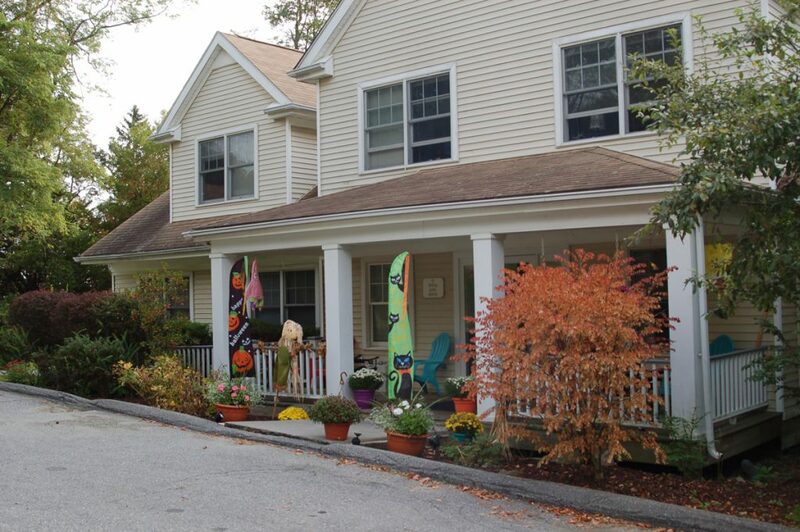 It is a 3-story corridor-style residence with a recreational student lounge on the first floor. 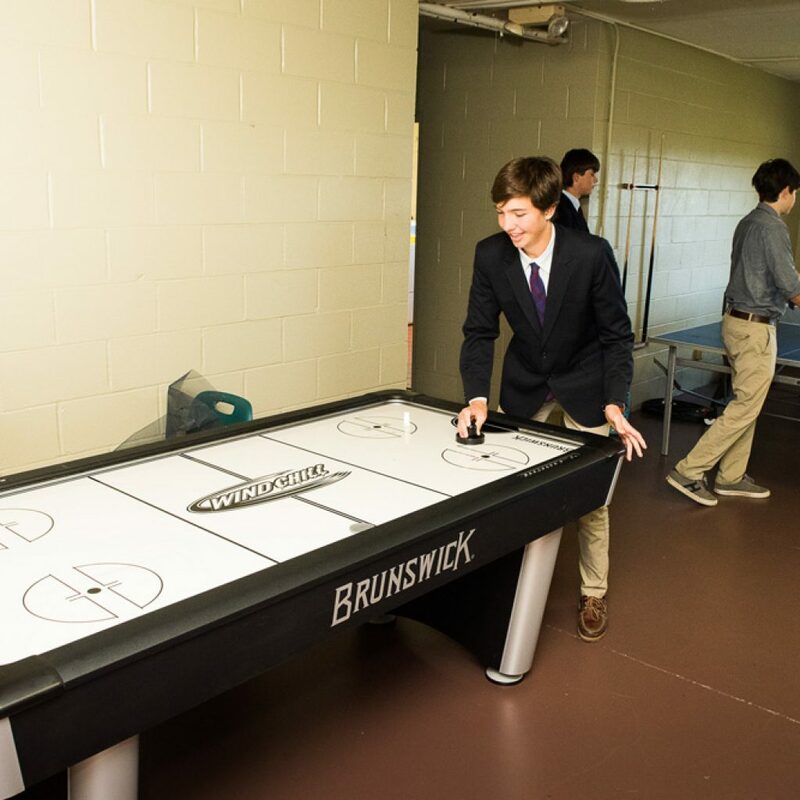 The lounge includes table games, a practice space for musicians, and areas for lounging in the evening. Campers are grouped by age and share their room with a roommate. There are two bathrooms on the corridor. Weekends offer time to take trips off campus and enjoy all that the region has to offer. 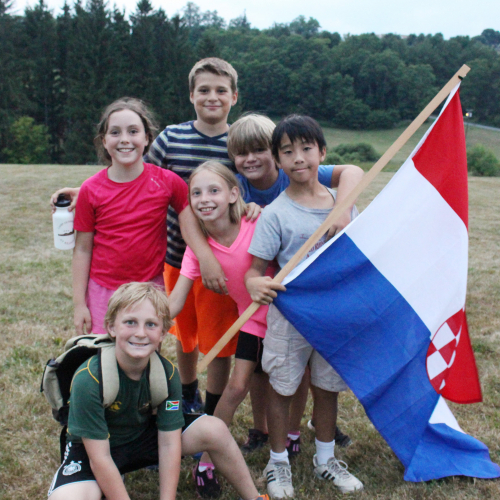 Amusement parks such as Lake Compounce, Mount Creek Waterpark, and Jiminy Peak offer thrills and weekend-long camping trips to Mount Greylock get campers connected to nature. Other weekend activities include a full day of water skiing, wakeboarding, or tubing at the lake, miniature golf and go-cart excursions. Birthdays are a special and exciting day for campers, and our kitchen staff will prepare a cake to be shared by your child’s house mates. We also have campers call home on their birthdays. Cell Phones, Computers, Electronics, etc. Campers are not allowed to bring electronic equipment to camp. Tablets, computers, and cell phones are prohibited and will be collected for safekeeping. Campers should not bring personal computers to camp. Tablets and computers are readily available for camper’s use during study hall and free time. Lunch and dinner are buffet style. At each table, an adult heads the table. Pertinent announcements will be made during meals. Hats are never to be worn in the dining room. Shoes and shirts are required at all times. NO food is to be stored in dormitory rooms. Packages containing food should be given to the camper’s counselor. Note: Energy drinks are not permitted at camp. 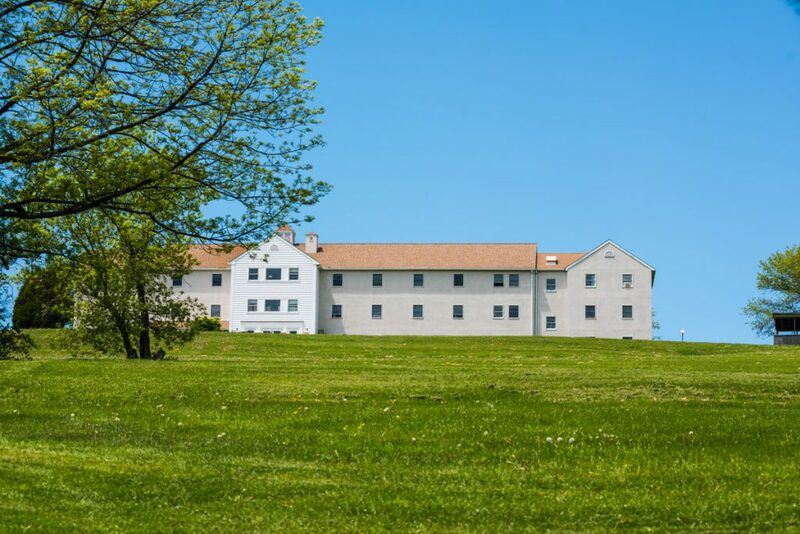 Campers will be assigned a room upon arrival here. Any changes of room or roommate must be made and approved by the Director. NO electrical equipment may be brought into the rooms except a clock, radio or small stereo, desk lamp, Sleeping bags may NOT be used in place of bedding. Beds or other furniture are not to be rearranged. 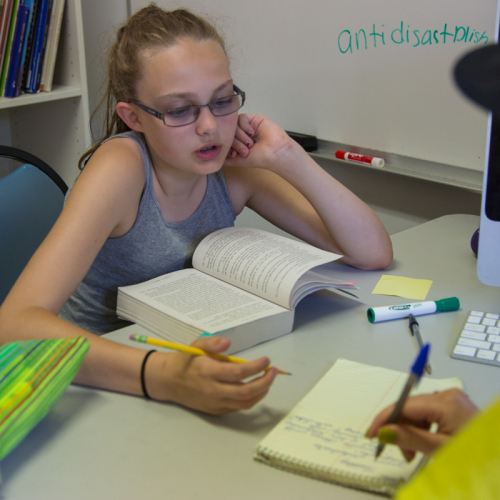 We expect campers to remain courteous to counselors and tutors at all times. Campers are expected to refrain from using offensive language. Running, wrestling, other horseplay, or bouncing balls in any of the dormitories is NOT permitted. Campers are expected to keep rooms neat and orderly at all times. There is a room inspection each day before lights out and again before breakfast. A camper who does not pass inspection will remain in his or her room with the counselor on duty until the room passes inspection. Campers are not allowed to leave dormitories in the evening after they return from evening activities. All campers are REQUIRED to use the laundry service. Parents should make arrangements prior to opening day in order to sign up for these services through E&R Laundry. Campers may not use the laundry machines located in the dormitories. All boarding campers must purchase the basic laundry plan through E&R Laundry. Campers do not need extra money during the summer; therefore, money is not to be received from home. Only small amounts of cash ($5.00) should be kept in the dormitory. The camp cannot be responsible for money if it is kept in the dorm. There should be no lending or borrowing of money. Campers enjoy receiving mail and packages, and it is strongly encouraged that parents, relatives, and friends send letters and e-mails on a consistent basis. Campers will write home at least once each week as part of the tutoring program. Please limit packages to basic necessities for camp, reading books, and storable food items. Food will be held by the counselors or administrative staff as it can attract critters in the dormitories. Mail is delivered each weekday except on federal holidays. Mail will be distributed during evening activities. All packages must be opened in the presence of counselors. As a six week residential program, we strongly discourage phone calls. Phone privileges are granted after the first week and campers will have a designated weeknight evening to call home. Campers will call home on a designated night each week starting the second week of camp. 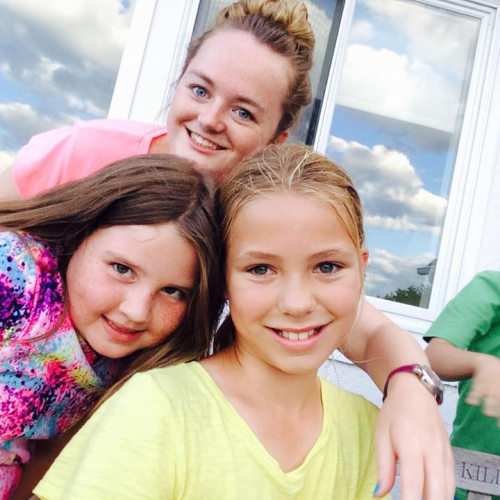 During the final week of camp, the schedule can become hectic as there are many evening activities planned, so campers usually do not call home during that week. 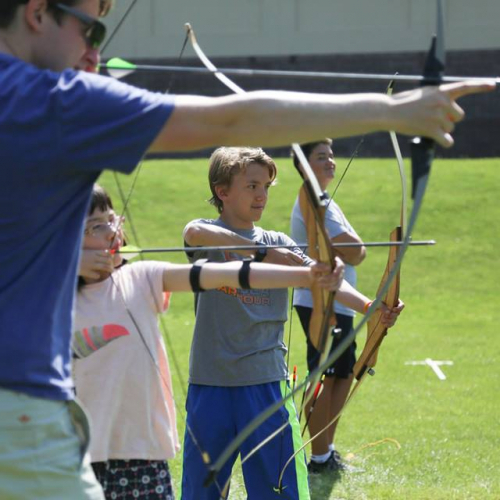 Campers should not be called unless there is an emergency at which time they can be reached through the Administrator on Duty; however, you are more than welcome to contact any administrator during the summer session to get an update on your child’s progress. Remember, campers are not allowed to have cell phones. All of our campers have the ability to send and receive e-mail (approximately three times/week). With the exception of Parents’ Weekend, visitation is highly discouraged, and visitation during the first and last week of camp is not allowed. Because of scheduling conflicts, visitation should be scheduled five days prior so that we can make arrangements. VERY FEW campers have visitors during the summer. Campers may also go home on weekends, but they must leave on Friday and return on Sunday at specific, scheduled times. Also, please make sure you follow scheduled times for pickup and drop-off. If you are late to get your child, he or she may leave with their group for an activity as campers will not be left unsupervised. If you return your camper too early or too late, you may have to wait with them until their group arrives back on campus.